Yukio Kawaratani leaving Tule Lake in 1946 with sisters (from left) Fumiko, Tomiko and Yoshiko. 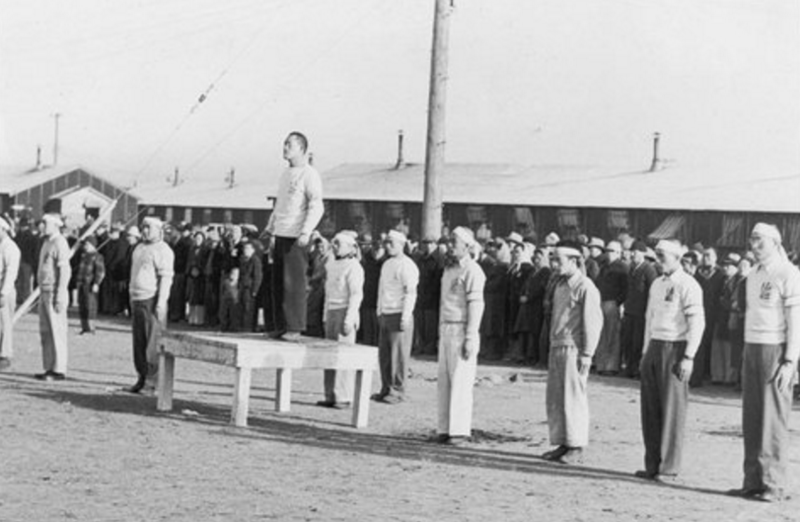 The World War II American concentration camp experience was the darkest time in Japanese American history. It was also a black mark on America, as our constitutional rights were trampled. My family suffered lifetime consequences. When Japan bombed Pearl Harbor, our whole family was saddened and worried about what was going to happen to us. We were a tiny minority, never fully accepted, and now we looked like and were being tied to the enemy. The FBI immediately arrested and incarcerated Japanese leaders of the community and organizations. Buddhist ministers, language teachers, and people with contacts with Japan. Curfews and travel limits were imposed and all homes, businesses and farms were searched by the FBI. With wartime hysteria, racism and economic competition, newspapers, radio stations, politicians, and farmers advocated the removal of all people of Japanese ancestry from the West Coast because we could be spies or saboteurs. President Roosevelt signed the notorious Executive Order 9066 in February 1942. It authorized Lt. Gen. John L. DeWitt to remove and incarcerate 120,000 Japanese Americans in ten concentration camps. Our family suffered a major financial loss, as we had to quickly sell at a fraction of its value everything we owned, including our home, farm, crops, vehicles and animals. We could only take what we could carry. I was ten years old. Our family’s camp experience was terrible. First, we were sent to Poston, Arizona. It was in the middle of the desert, hot and dusty. Our family of ten was jammed into a 20-by-50-foot room in a wooden tarpaper-covered barrack. There were no partitions or closets. Two bare light bulbs hung from the rafters. Initially there were ten metal Army beds and no furniture. We had to go to the scrap lumber pile for wood to make crude benches, tables and shelves. The mess hall food, with a shortage of sugar and meats and prepared by inmates, was bad. There was a long walk to the toilets and showers, which had no privacy partitions at all. A year later, the constitutionally suspect loyalty questionnaire was mandated to be filled out by all inmates 17 years of age and older. Question 27 said: “Are you willing to serve in the armed forces on combat duty, wherever ordered?” Many men thought that answering “Yes” meant volunteering for the Army. Question 28 asked: “Will you swear unqualified allegiance to the United States and faithfully defend the United States from any or all attack by foreign or domestic forces, and forswear any form of allegiance or obedience to the Japanese emperor, or any other foreign government, power or organization?” Some Issei did not want to renounce the only citizenship they had, as they were always denied American citizenship. To play it safe, 90% of the adults answered “Yes, Yes.” However, there was confusion and no guidance. Some inmates were angry to be forced to answer a loyalty questionnaire while being incarcerated and protested by refusing to fill it out. Others were conflicted and answered “No” to one or both questions. Our family had a problem. One brother had already been tricked by the FBI agents searching our farm into joining the Army. Two brothers had gone to pick sugar beets for farmers in Utah because of the labor shortage. They had answered “Yes, Yes” to keep working outside of the camp. Soon eight members of our family and thousands from the nine camps that did not answer “Yes, Yes” were sent to the Tule Lake Segregation Center. It had been converted into a high-security prison for over 18,000 men, women and us children. My father was shocked. Tule Lake had protests and some strikes, which were mainly about farm working conditions. poor food and living conditions, and brutal treatment of protest leaders in the stockade. There were constant rumors that we could be subject to prisoner exchanges at any time and would all be deported to Japan after the war. Except for our parents, we were all American citizens, but treated like enemy aliens. Various groups and organizations with differing opinions were formed. My father joined the Hoshidan because they were Japanese-speaking. He said that since we could be deported to Japan, we had better learn the language. He took three of us children out of the English language school, and enrolled us in the very strict Japanese school full-time. We had to study all the time because we had a lot of catching up to do. Living in Tule Lake as prisoners facing deportation to Japan was serious business. There were no fun and games. The next crisis came when Congress passed the “Renunciation Law.” At first very few inmates applied. But December 1944, the War Relocation Authority announced the start of closure of all the camps, including Tule Lake. The U.S. Supreme Court, based on the Mitsuye Endo case, ruled that American citizens who are concededly loyal could not be held indefinitely in WRA camps. But, having the family released into a hostile white community, while the war was still going on, and with no job or place to live, created a panic. It would be safer to stay in Tule Lake. It was a time of confusion, intimidation and a mass statement to show the government that their citizenship was worthless anyway that caused over 5,000 Nisei to renounce their American citizenship. A regrettable decision with major repercussions. The government blamed the Hoshidan organization. My father and two brothers were sent to Department of Justice detention centers in North Dakota and Texas. 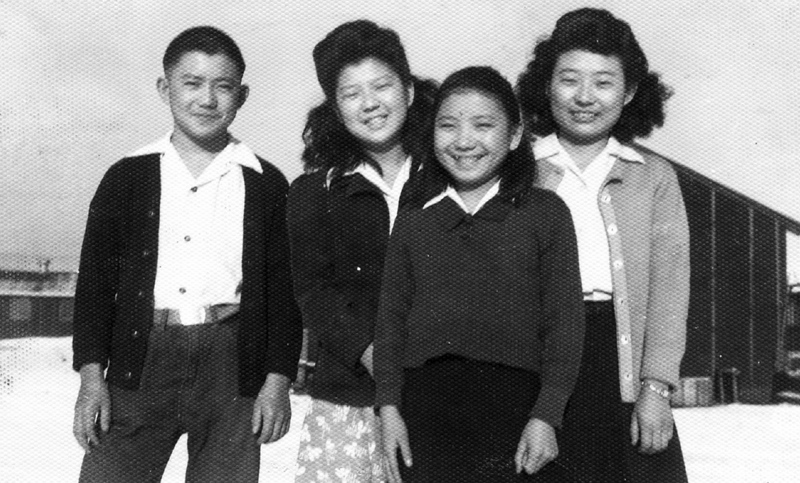 I was left with my mother and three sisters in Tule Lake. Also, ironically, at the same time, three of my brothers were serving in the U.S. Army. One fought in Italy with the 442nd Regimental Combat Team. Another was with the Military Intelligence Service headquarters in Minnesota. Our family of 11 was broken into six pieces. After the devastating atomic bombings of Hiroshima and Nagasaki, the war ended in August 1945. A few months later, the government prepared two ships to deport Department of Justice detention center inmates and Tule Lake renunciants to Japan. But, due to the amazing legal intervention by American Civil Liberties Union attorney Wayne Collins, the mandatory deportations were stopped and only those volunteering to go would be deported. Tragically, my father was so angry and disillusioned with America that with two sons, he boarded the ship to Japan. My mother was in a quandary on what to do. But two of my brothers in the Army came to Tule Lake and convinced her not to take us children to devastated Japan to starve. A fortunate decision. 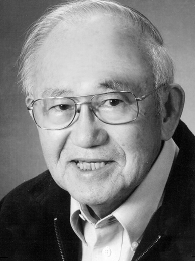 Through two decades of dedicated and heroic efforts, Wayne Collins, aided by attorney Tets Nakamura and others, was able to one by one regain the American citizenship of almost all of the 5,000 Tule Lake renunciants. With years in Japan, my two brothers had married Japanese wives and were able to return to California. Again tragically, my poor father had not survived long and had passed away in Japan — I believe primarily of a broken heart. For all these years, former Tule Lake inmates have been stigmatized as those “troublemakers” by the Japanese American community. After the war and to this day, people still ask, “What camp were you in?” I never hesitate to say Poston and Tule Lake, but I am always angered by people’s negative reactions. They don’t understand that we were trapped and highly victimized by the government and our families suffered many times more severely than those in other camps. Because of the stigmatization, many Nisei chose to stay in the closet like the LGBTs and not admit they were in Tule Lake. In closing, I would like to make a plea on behalf of former Tule Lake inmates and their descendants. Please do not continue to call us the “No-Nos” or worse yet, the “No-No Boys.” These have been derogatory slurs, sometimes hateful and hurtful, for over 70 years, as stigmatizing put-downs of Tule Lake inmates. We were severely victimized by the government and American concentration camps, so I request understanding and eventual reconciliation by all Japanese Americans, before the Nisei generation is gone.